As I sat at my kitchen table trying to work on the first day of summer vacation and the girls were already fighting at 8:32am, I realized it was going to be a long summer if I didn’t come up with a schedule. The past two years we’ve left for the beach within a few days of school ending, but this year I decided to push our trip out a couple of weeks and allow for a little boredom before we headed off. Then, when we got back was when I’d plan on some sort of framework for our days. It seemed silly to come up with a schedule for two weeks to just drop it and change things again completely when we go to the beach and then again when we got home. But after getting used to and embracing the school schedule, these girls need something more than my plan thus far – work in the morning and play in the afternoon. We sort of made that work that first day but we just need more for the next two weeks. Nothing too rigid, but some educational boredom busters and ways for them to stay occupied other than just open free time. One of the big goals of summer is just to relax and enjoy life with lots of play. But kids don’t need to be told summer is about play. When they’re feeling bored or restless having a list of things to keep them entertained already available is definitely one of the keys to making things go smoothly. Especially when you’re trying to balance work and life. Staring this week, I’m going to have a list of ideas/requirements for them to keep themselves busy and not allow their brains to turn to mush this summer. 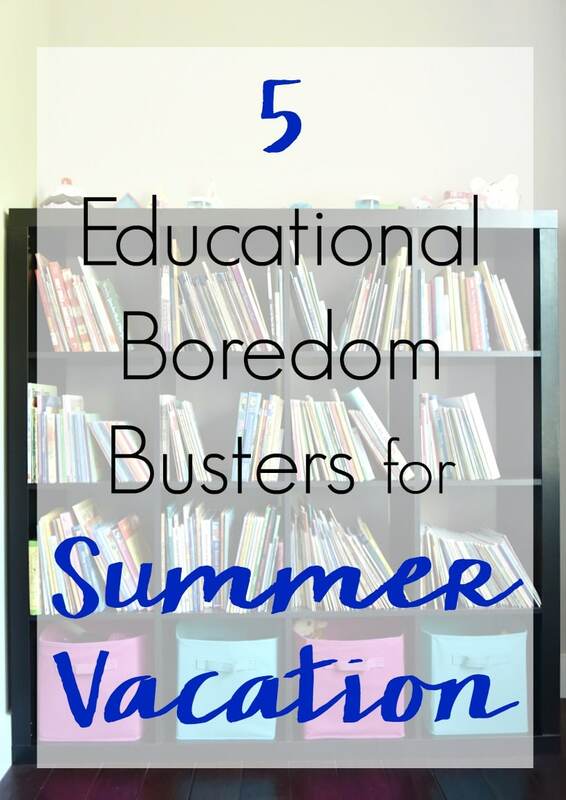 If you’re looking for some inspiration for your family, check out these 5 Educational Boredom Busters for Summer Vacation. 1. Reading. Keeping lots of books on hand is a great way to keep your child’s mind engaged and expand their vocabulary. Since Colby (8) can’t read yet, this is a great opportunity to let Brady (8) practice reading aloud. If you have a limited library in your home, visiting the local public library is a fun and free outing to expand your child’s reading list. Another bonus of visiting the library is many of them have summer reading lists and prizes available for accumulated minutes read! 2. Workbooks. This is likely the girls least favorite education boredom buster. I like to buy one of the large workbooks with a variety of subjects in it for the grade they’ll be going into next (for my girls that’s kindergarten and 3rd grade). To mix things up, I like to pull sheets from a variety of different subjects so they’re not stuck doing the same subject all day long. 3. Outside learning. Our house is on a pretty large lot so there’s a lot of room for the girls to go out and explore. Walking around the property and exploring the different trees, flowers, animals, birds, and insects is one way to keep them entertained while spending time outside. If you want to get fancy or have a child that can’t yet read, there are a ton of resources on Pinterest where you can create scavenger hunt printable lists (with photos) for your kids. You can also plant a garden with your kids and allow them to help water, weed, and collect! 4. Educational apps. 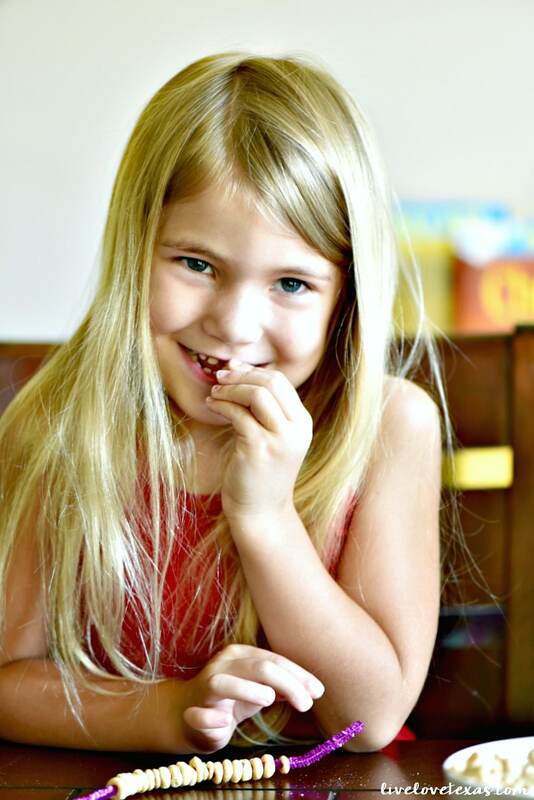 Our family limits technology time because it can quickly turn into an addiction, but when the girls are allowed time on their iPads we have lots of educational games for them to work on skills like math and spelling that they still consider a treat. Some of my favorite apps are Prodigy and Spelling City which were recommended by past teachers and allow parents some control over the content and reports to see how the child is doing. 5. Crafts. I’m the first to admit I’m not the craftiest person around but my girls love art so I do what I can to keep them happy. I can’t rationalize spending a ton on supplies at craft stores so we usually try to make do with what we have around the house. Dry cereal and pasta can provide a great base. Our house backs a nature preserve so for our first craft project of summer we decided to make these easy bird feeders using Cheerios and pipe cleaners! 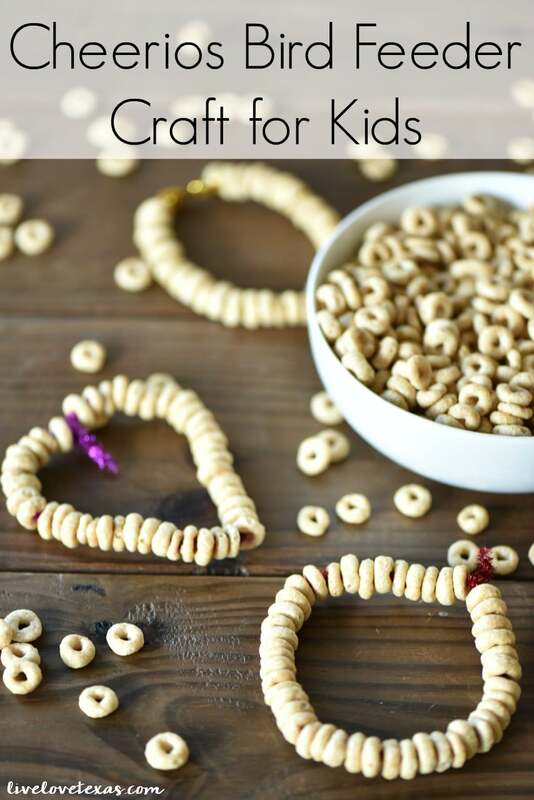 This is such an easy craft that it’s perfect for most ages and requires very little in supplies or supervision. 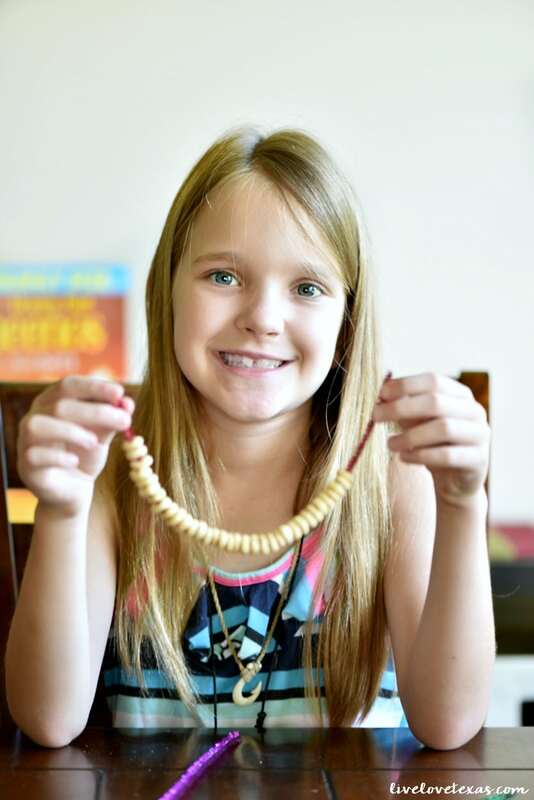 The kids can make their own bird feeders entirely on their own and have a tasty snack while they’re at it! 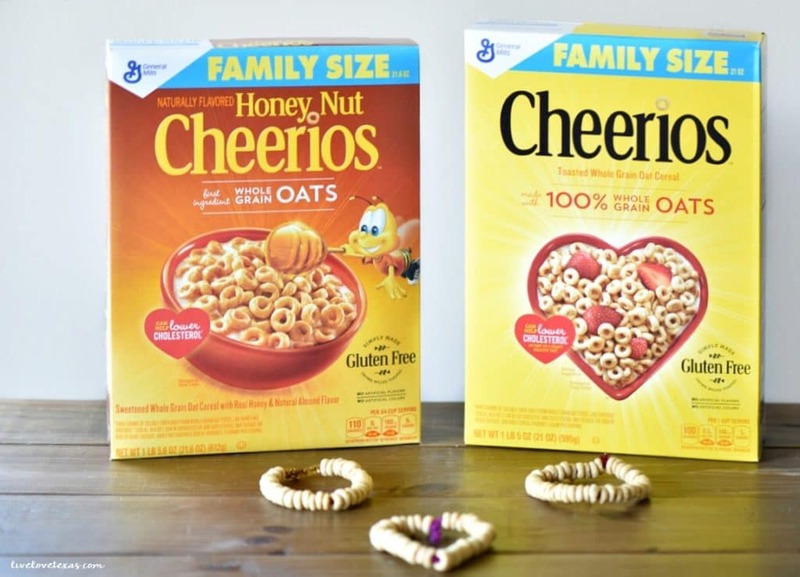 #GetOneGiveOne: Right now you can find codes inside specially marked packages of Cheerios exclusively in Walmart stores and enter it on http://wm6.walmart.com/Gluten-Free-Cheerios to send a coupon for a free box of Cheerios to someone that matters and maybe could use some educational boredom busters as well!